Situated in the mountains, this cabin is 2.9 mi (4.6 km) from Glacier Hot Pools and 2.9 mi (4.7 km) from Westcoast Wildlife Centre. Franz Josef Glacier is 6 mi (9.7 km) away. 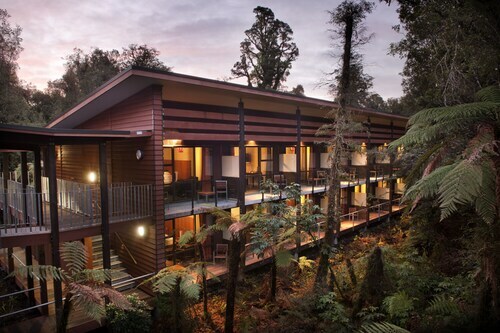 Situated in Franz Josef Glacier, this eco-friendly hotel is within a 5-minute walk of Westcoast Wildlife Centre and Glacier Hot Pools. Our Lady of the Alps and St James Anglican Church are also within 10 minutes. 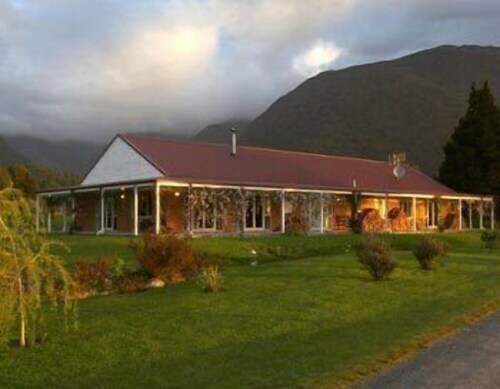 Situated in Franz Josef Glacier, this motel is steps from Our Lady of the Alps and Westcoast Wildlife Centre. St James Anglican Church and Glacier Hot Pools are also within 10 minutes. 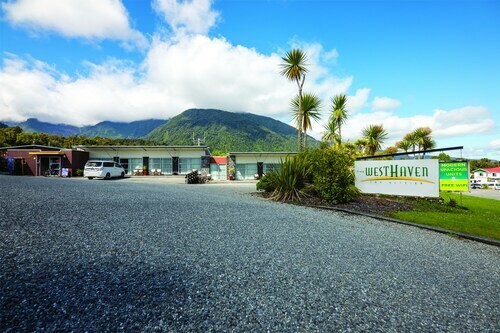 Situated in Franz Josef Glacier, this luxury holiday park is steps from Glacier Hot Pools and Westcoast Wildlife Centre. Our Lady of the Alps and St James Anglican Church are also within 15 minutes. 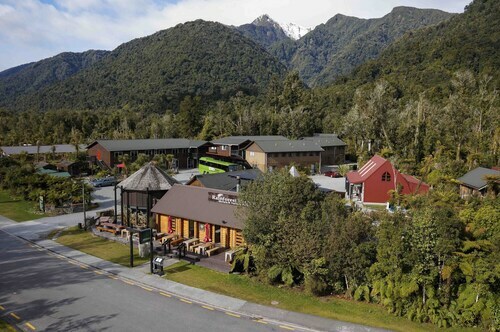 Situated in Franz Josef Glacier, this holiday park is within 1 mi (2 km) of Glacier Hot Pools, Westcoast Wildlife Centre, and Our Lady of the Alps. St James Anglican Church is 1.3 mi (2.1 km) away. Situated in a national park, this hostel is within a 5-minute walk of Westcoast Wildlife Centre and Our Lady of the Alps. Glacier Hot Pools and St James Anglican Church are also within 10 minutes. 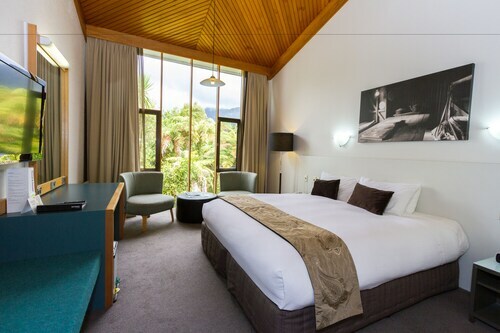 Situated in Franz Josef Glacier, this luxury hotel is within a 5-minute walk of Glacier Hot Pools and Westcoast Wildlife Centre. Our Lady of the Alps and St James Anglican Church are also within 10 minutes. 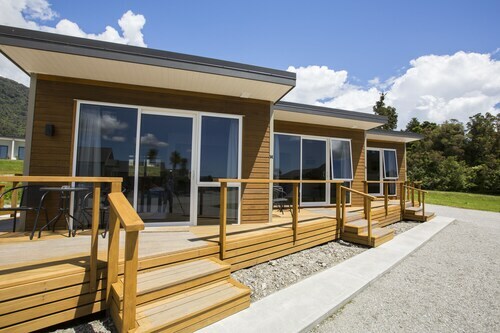 This family-friendly Franz Josef Glacier apartment building is located in a national park, within 3 mi (5 km) of Glacier Hot Pools, Westcoast Wildlife Centre and Our Lady of the Alps. St James Anglican Church is 2.2 mi (3.6 km) away. 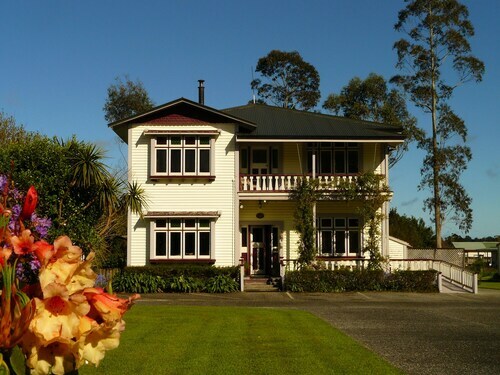 Situated in Franz Josef Glacier, this luxury bed & breakfast is within 1 mi (2 km) of Glacier Hot Pools and Westcoast Wildlife Centre. Our Lady of the Alps and St James Anglican Church are also within 2 mi (3 km). 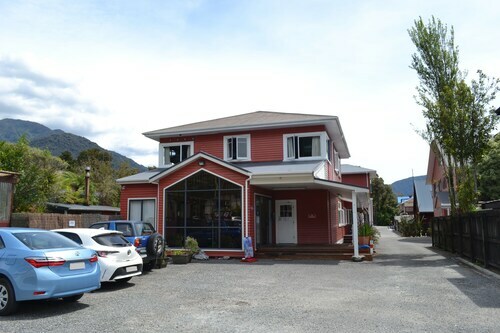 Situated in a national park, this luxury bed & breakfast is within 1 mi (2 km) of Glacier Hot Pools, Westcoast Wildlife Centre, and Our Lady of the Alps. St James Anglican Church is 1.3 mi (2 km) away. Like its twin, the Fox Glacier, Franz Josef Glacier is undeniably one of the most awe-inspiring areas of New Zealand, and is a must-see for any visitor to the South Island. The glacier itself lies about 5 kilometres from the town of the same name. 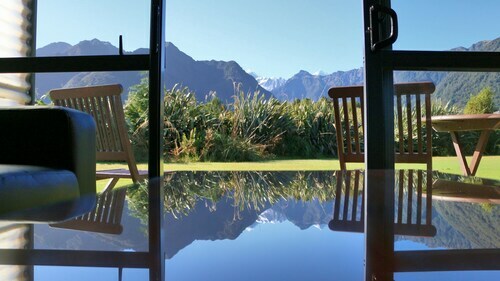 Using our Franz Josef Glacier accommodation as your base, a twenty minute walk will take you to the glacier’s terminal face, where there are a choice of lookout points from which to better view this marvel. 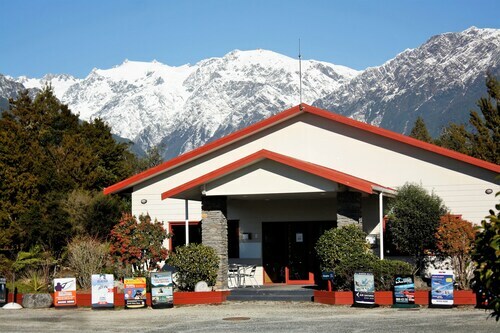 With a great range of Franz Josef Glacier hotels located throughout the region at great low rates, you can rest assured that there will be something that meets your needs below. 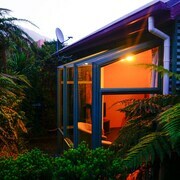 So go ahead and book your Franz Josef Glacier accommodation with Wotif.com today! 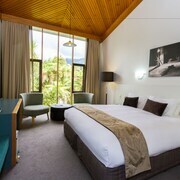 How Much is a Hotel Room in Franz Josef Glacier? 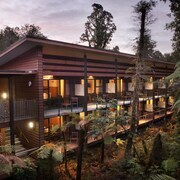 Hotels in Franz Josef Glacier start at NZ$85 per night. Prices and availability subject to change. Additional terms may apply. Very nice host & ok with us arriving after hours .